Details: Flag lowering ceremony followed by a moment of silence with refreshments afterwards. There were over 80 people who attended the ceremony dispite the cool weather and snow on the ground. thank you to those who came out to support all the men and women who lost their lives to workplace injury or illness. 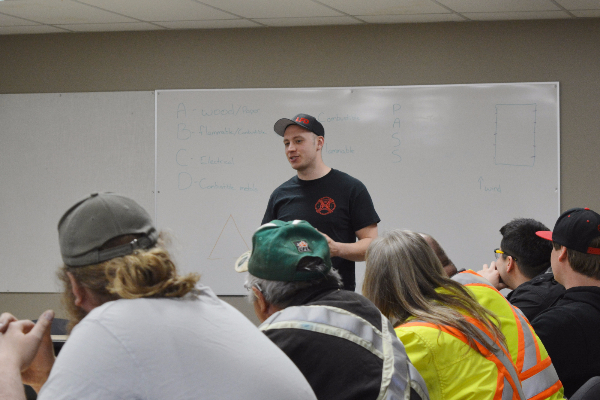 Promoting the aims, objectives and programs of the Alberta and Saskatchewan Safety Construction Associations within the construction industry in the Lloydminster and Lakeland area. Encouraging and assisting every member company to develop and maintain a proactive Safety Management System. All the people involved with the ACSA and SCSA, from the origin of the idea to the present, share a common vision: through cooperative efforts of all those involved, the construction environment in Alberta and Saskatchewan will be the safest anywhere. We are a group of voluntary members whose key objectives are providing construction safety training and administration of the Certificate of Recognition (COR) Program primarily in the form of education, training, information, and resource material to our members; managers, supervisors and workers. The LRSC is comprised of industry leaders that help to organize and update any and all safety related issues within the construction and building industry. Our membership is based on volunteers and is open to new members and encourages individuals and organizations to get involved. The Alberta Construction Safety Association (ACSA) and Saskatchewan Construction Safety Association (SCSA) are non-profit organizations funded and directed by industry. The Associations consist of construction industry volunteers supported by a team of professionals based out of offices in Edmonton, Calgary, Ft. McMurray, Saskatoon and Regina. 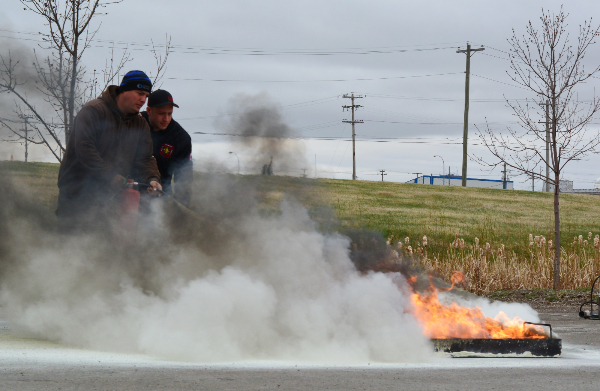 A Big THANK YOU goes out to the Lloydminster Fire Department, Astec Safety & the Lakeland Regional Safety Committee, for providing Fire Extinguisher Training in support of NAOSH Week. Jennifer Keach is currently Lloydminster's Regional Chair and brings to every meeting an enthusiasm for safety that is motivational and infectious. She has earned the accreditation of PPSD, HSE Specialist at Schlumberger of Canada Ltd.. Jennifer was the first to introduce "Steps for Life" walk to the area and is dedicated in her work to promote the industry trades among young people, particularly at Try-A-Trade events. 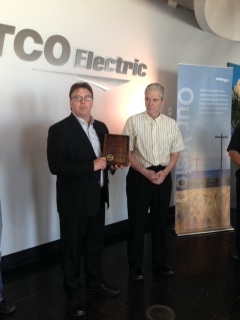 ATCO Electric has a firm strategy in the delivery of its HS&E Program initiatives, through its management team, HSE Management Committees and Working Groups - in addition to delivery of numerous in-class and on-line training sessions. It is actively engaged in public safety awareness campaigns to proactively educate the general public specifically through high voltage hazard demonstrations targeted to high risk groups such as First Responders and safe-practice video productions to benefit the construction industry and the farming community. Sponsor of Lakeland Regional Safety Conference. 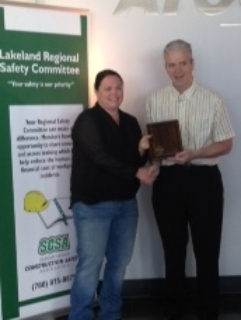 1st Annual Lakeland Regional Safety Conference! Meetings are held in Lloydminster at the Lloydminster Construction Office with a 15 to 30 minute education component starting at 11:30. This component is member driven, with topic requests submitted by members and knowledgeable people from within the requested industry delivering the information. Attendance at the whole meeting (which runs from 11:00 to 1:00 including lunch) is welcome, but attendees can also attend just the education component if they wish. Sub Committee meetings will be at separate times and dates TBA. If you are interested in joining a subcommittee please contact Jennifer Keach.